Have you ever wondered how easy your life would be if you just woke up with a million dollars in your bank one day? And have you ever wanted to reach that goal sitting in front of your computer and just doing some fun stuff? Well, then you came to the wrong place. I repeat, wrong place. There is nothing called 'easy money' in this entire world. You must put some real effort for earning a salary off a real job, and you need an almost equal amount of effort to earn a substantial online income. If you ever come across something marketed as 'easy online money' you best walk away from it soon, before you spend your time earning others money and eventually you being scammed. Any online site that requires a real contribution to pay you, is probably a genuine site. Bux sites are probably the first thing that comes into your mind when it comes to earning online. I have tried a few, with a very little success. I am not saying that all of them are scams (which most bux sites are). It's just that you will have to log in to the bux site daily and click on 10 or some number of ads and earn $0.05 for the entire day. To make a little of $10, you would have to continue ad clicking for 20 days, which by then you would have paid for tenfold with your electricity bill and internet bill and your time and effort. Referral programs could work for you when working with bux sites. But most of them are organized in a way to get you to log in everyday (otherwise your referral earnings won't be credited to you). So it's pretty much a die-die situation. You won't ever be able to take a vacation for a week, without losing all your referrals. So please don't waste your time with 'ad-clicking' sites. For a few years I have tested many online money making platforms with little success. First off I started with ad-clicking sites, which soon proved to be a never ending task to earn one dollar. Then I moved onto blogging associated with AdSense, which was legit enough, but involved a lot of work (I didn't know the reality back then). I wanted to make quick cash so I moved on from blogging as well. Then I came upon MicroWorkers, which was the first site I actually made a redemption. MicroWorkers is a legit site, but again a lot of work to earn a dollar. Then I really started digging in to sources of legit and real money making and the result is the following sites I have had a lot of success with. 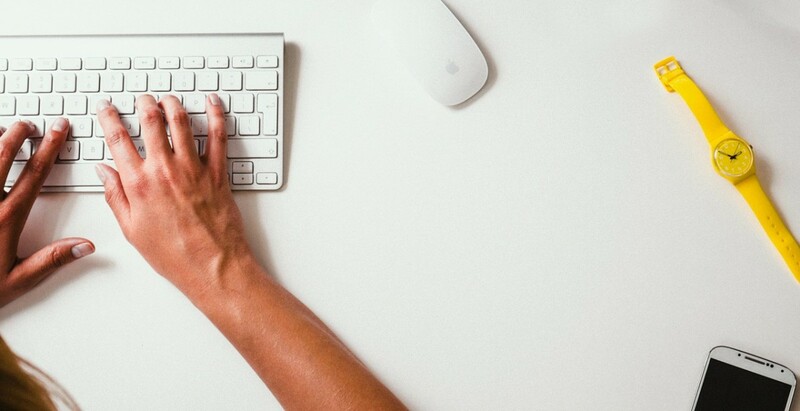 Online writing is one of the most trusted ways to get paid, and get paid a lot. But as you can assume, this involves a quite a bit of work and you will see the real fruits of your work as your content matures on the web. So it requires a little patience too. I would be not doing much justice, if I did not mention HubPages at number one site to write online. HubPages is the site that really took me off the ground in earning money. HubPages made me want to earn online, rekindled my lost hope in money making online. HubPages gets an average of 30+ million views per month and is a very much established site on the WWW. Most articles we publish get good search engine rankings, provided that we adhere to their quality requirements. You will be able to earn money for your content through the HubPages Earnings Program as well as through your adsense account, through your Amazon affiliate account and through ebay sales. Initially you won't be able to see much revenue growth, but as your hubs get older (2-3months), you will see traffic increasing and your revenues following through. 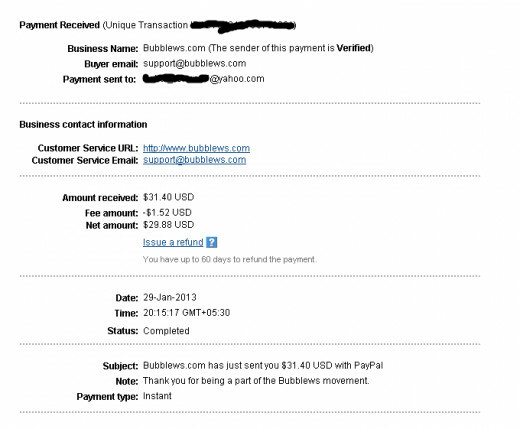 Bubblews is another great 'paid-to-write-online' site that works really fast. If you don't want to put so much effort into composing a lengthy article, Bubblews will provide you the alternate solution. Bubblews only requires your content to be original and a minimum of 400 characters. Characters means, every letter you type counts. So you could be writing about your favorite food, about the latest smart phone, about your pet, a new movie you watched, all you have to do is make the article unique and 400 characters or more. However they do have a few more rules which you must follow in order to get paid. Other than that I have made four redemption from this site without any hassle. Read my experience on Bubblews. You will be paid $0.01 for every view, like, dislike, comment, social media share you get on your posts. 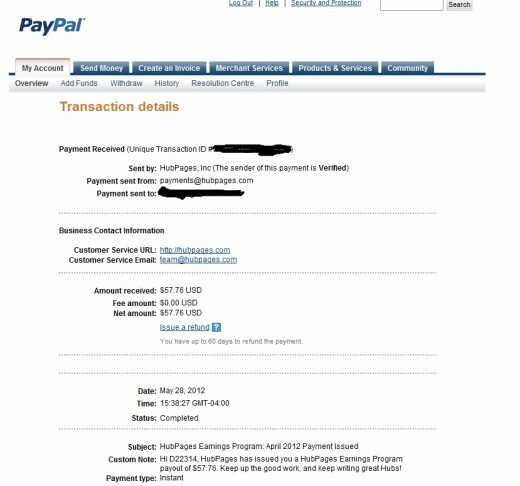 For an example if a person 'thumbs up' your post you will immediately be credited with $0.01. So you can see how easy it is toe earn from this site. Because it is so easy the minimum redemption is set at $25, which I can vouch, that some users make per day. Sign up with Bubblews and you can start earning this moment on-wards. Teckler is a relatively new site that pays you for the views your posts get. 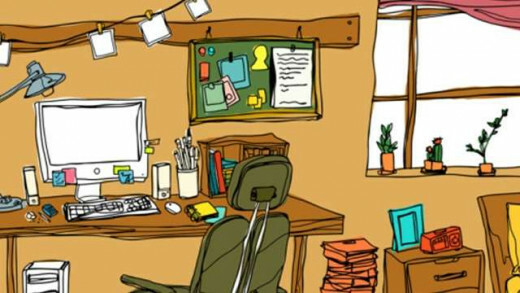 The site is getting massively popular by the day due to the flexibility it offers for writers. Teckler is a multi-language platform, which means that writers can use different languages (given) to write their content. There are about 10 different languages a writer can write with. Also Teckler allows you to post purely photo, audio or video based posts. That means you can use your pictures as a post too. Teckler earnings are pretty low at the moment, but considering how new the site is, the earnings will only improve through time. The minimum payout is $0.50, so any new user can test it out without much hassle. The best feature of Teckler is probably the convenience of posting articles. There are barely any rules. There isn't even a minimum word count required for a post to be accepted. But you should know that higher the content the higher your chances of getting noticed on the internet. So it is entirely up to you. Amazon Associates is the affiliate program offered by Amazon.com. All you have to do is sell the products offered by Amazon to third parties. Sounds easy huh? Not really. Google for a product you wish to buy. It is almost certain that search results will include a link to Amazon webpage for the product within the first 5 search results. How can we beat that? We really can't. That's when you integrate Amazon Associates with online content writing. You get on a content writing site such as HubPages or Squidoo and post a unique, content rich, true evaluation of the product you wish to sell. This will attract people who are looking for the product, since the Google search visibility of these sites are high. Also another technique is to compare similar products and provide your opinion. Amazon Associates has almost endless earning potential. Initial commission rate is 4% which will increase to a maximum of 8.5% based on the number of items you sell. To read a full review about how to earn from Amazon Associates, visit my article on My Experience of Being a 7 Month Amazon Affiliate. If you are interested you can also sell music from the Apple's iTunes Store. Again this is similar to selling products from Amazon, but you could consider selling music a little easier and a little tougher too. Selling music online is easier, because it is one of the largest selling items on the Internet. Albums, singles and CDs are being sold in millions daily. But on the other hand driving relevant traffic to your music selling site could be a little difficult due to the dominance of music sellers such as Amazon, iTunes, Rhapsody etc. Also music sells at a low price (a single at $0.99 and an album below $10) so it would be quite difficult to earn a substantial income for the amount of effort you have to exert. It is not really practical to integrate selling music with content writing either. Good old AdSense is another way you could make some extra cash on the Internet. AdSense will display ads in your website and you will earn impression revenue and ad clicks revenue. However this will require some tedious work in the beginning. AdSense could be integrated to your website-but it is a fundamental requirement that all content on the website should be unique and does not violate copy rights of any parties. Websites such as Perez Hilton ($150,000 per month), TechCrunch ($225,000 per month), eHow ($550,000 per month) are some top earners from AdSense network. Those sites weren't built in a day, so you should have some patience when working with AdSense. AdSense is provided by Google, so legitimacy of the site is 100% and payments are consistent and never missed. I'm sure you are a talented person and if you have any of the following talents, probably you could make a really good income through selling your talents online. Website/software/app development and so on. The two most famous sites to sell your talents are oDesk and Fiverr, where you can advertise your skills through your profile and interested buyers will place orders to get work done relating to your skills set. Both sites are very safe sites you could work on. This is a very new aspect of making money I recently ventured on to. I am a music lover-lover maybe an understatement. So reviewing music gives me pleasure and a side dish of income as well. Slicethepie is the site I found to review music easily. They play a music track which you must listen to a minimum of 90 seconds and then you should write your honest opinion about the track, along with a tracker to rate the track on a scale of 1 to 10. After you submit the review information about the track will be revealed. This is done to remove bias opinions if you knew the artist before reviewing. The better your reviews, the revenue per review will improve. You will begin with a pay rate of $0.05 per review, and this could be improved over time. So if you are a music lover this will be a great way to spend your leisure time-enjoying new music and getting paid for it. Out of the above categories, in which are you currently engaged in? Congratulations on making to the end of the article. I hope you got a pretty good idea about the opportunities of money making online, without getting scammed. Feel free to try any of the above sources without fear. But most importantly-do start with something. Specially if you are wishing to succeed as an online content writer-stop wishing and start writing. Your articles will be more successful the longer they stay on the Internet. So start today itself. At the end of the day it all boils down to the amount of work you have put into your earning sources-be it online or offline. So all the best with your attempts earn some bucks. If you need any assistance feel free to comment on this hub and I will get to you as soon as possible. If you like this hub please like, rate, share it so many others can benefit off it too. Also subscribe to me for more useful hubs like this. Do you still feel the same way today? This is a top 5 list out of the things I have tried and confirmed. Good list, but incomplete if you ask me. Nice article. Legit sources like Google adsense and slice the pie. Nowadays there are too many scams that just cheat our well intentions. Check out my website to see what not to pay for. I posted this hub specifically for people like you - newbies who are looking to enter into online earning business - so that they won't get lost or scammed like which happened for me for about a year. Glad I could help. Good luck!!! Thanks for posting this Hub! It was very informative for a newbie like me looking to increase my online writing exposure and additional income generated online. I especially liked the Slicethepie recommendation, I will be giving that one a try! Thanks man. Means a lot. My intention from this hub was quite the same. To give my readers some legitimate sources of online earning without getting scammed. That is why I have only listed the sources I have personally tried and succeeded. Quite a satisfying HUB you got there!!! In fact it really does please the eye and the mind for those whose brains are wrecked completely after browsing one after another sites only to find it to be a complete waste o' time and all in all nothing but a Scam!!! Appreciate this hub, thank you :) Now I got more curious with Teckler, got to do more reading, maybe I should check it out. Up and FB shared! Hey, thanks for the comment. oDesk and Elance are legit and good sites. But as you said the beginning can be so tough because people will buy your work only based on your goodwill. Anyway I have found myself contend with HubPages and Bubblews and a little Amazon Affiliates by the side. Great article. Thanks for the advice. Personally I have made hundreds of dollars on oDesk and elance but it may take a while before you get noticed since you have to bid for projects. That is why I have decided to start putting more effort on blogging and hubpages. I would appreciate you support to be successful. My email is kirkpeter007@gmail.com. Thanks once again. Are these legit even for someone who lives outside US? Thanks for the comment. If you liked the article make sure you share it, tweet, put a like and so on. It really helps. I will contact you to your email. Hellow Nimesh, this is one of the great articles I've ever read. Well actually I am new to this all and I am searching for various profitable online make money programs. I've joined Hubpages and Bubblews. I have created my very first hub, well it required a lot of work. Can you please guide me about Amazon Associates, I've created my account on amazon.com ? I'm sorry to say that you have been scammed continuously for so long. All the things I have mentioned here are things I have tried and had success with. And from Bubblews along I make around $100 per month. I will be happy to help you with your money making guide, anything at all. I think my email is somewhere in the comments. I am new to teckler.I found it is very funny. I like that site. I trying for bubblews but at the time of sign up they are asking me about my website which I don't have at all. So can I join bubblews? Thanks for that informative comment. Unfortunately I have not tried any data entry work. Usually they pay less than HubPages and Bubblews. Checks is not a very convenient way to withdraw from Bubblews. Try Paypal. hey you are on bubblews i am connected to you 1 question though does bubblews pays in India? do they send checks to india? Thanks for all the genuine info,. Desperate help is needed from your side , i want to start up immediately so i can start earning something in bits and pieces at least minimum usd20$ per day ..suggest me the best website ...so ill forget everything else and stick to it!!!!! Thanks...your hub really inspired me! How I get more traffic on my website in blogger please post about this. Thanks. And make sure to let us know how it goes. Good luck!!! Very interesting hub. I may try a few of these out and see what kind of experience I have. Thanks! Appreciated work. Hub pages is a great source for any one to promote your business with expressive and informational content. These are very good ways to earn money online. The another way that people also like is make a website in a small budget which we also called as Turnkey business online. This is good if we choose some trusted affiliate programs like Website Starters (http://websitestarters.net/) that offers Dating Network website and Travel Websites at very low cost. I don't know if I can recommend Teckler for you as you are writing on Bubblews. Because Teckler is very new and has very low payout rates. So if you are writing on Bubblews keep writing there. Diversifying your efforts into Teckler may not be worthwhile just yet. Great info. I currently write for Hubpages (obviously) and Bubblews and use Adsense and Amazon Associates. This is the second time I've heard of Teckler, I will have to check it out. Interesting to see that. I don't think creating websites is a very common form of making money online. But thanks for the idea. Yes, earning online has very high potential. For an example, Huffingtonpost.com is managed by a woman and that is the top earning blog from displaying ads. Even if you run a quick hunt on HubPages, you will be able to see some users with 1000+ hubs and even higher amount of followers. I can only imagine how much money they are making. Definitely more than $1,000 per month. Same goes with Bubblews. It's just that earning online is equal to earning through a job. Both require your effort. Always keep in mind that, whatever you do now has a multiplier effect on your future. I just started out and I was really looking in to ways in making money. I know it takes time and effort but I can see the real potential in the long run. I'm really glad I came across your hub. I learned a lot! Thanks. 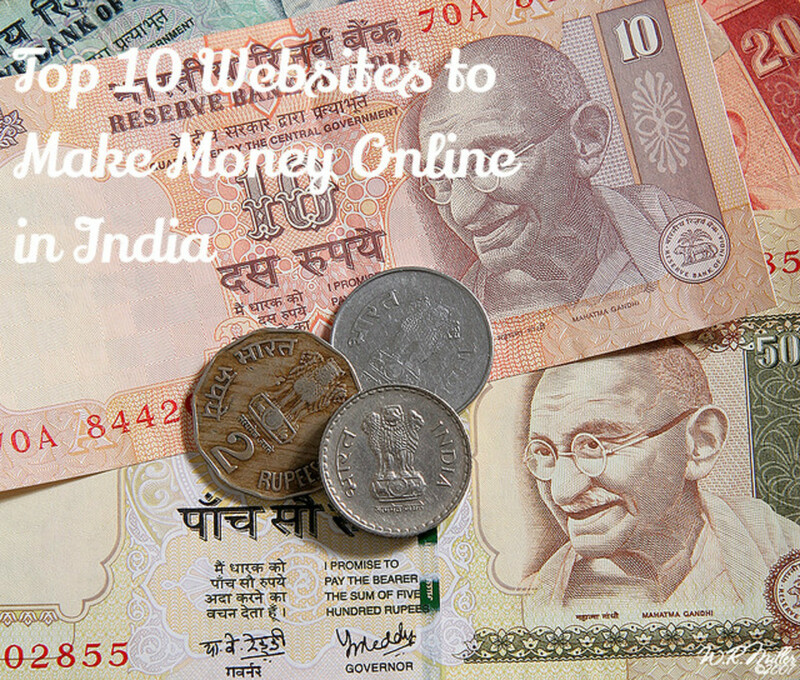 Yes, there are many scams on the Internet formed in the name of 'easy online money'. But these sites are all legit sites that really pay. And some sites pay good. Thanks for the awesome tips on making money online. I was pretty frustrated of various scams online. Thanks for these legit sites. There are yet more ways to make money online. I hope to write another hub on less famous but guaranteed ways to make money online. Thank You for writing this article. You gave a great description of different ways of making money online. HubPages is my main source of effort, because I see a lot of potential for hubs in the long run. I maintain the Bubblews account to gain short term earnings. I post almost everyday there. Whereas HubPages require more effort into creating one hub. But it is definitely worth it. I also have an AdSense blog which I haven't really paid attention to in a long time. So it's just not performing very well at the moment. I have had most success with Amazon through HubPages. Good overview of the various earning opportunities online. I personally love HubPages and Bubblews, those are the sites I'm most active on. I also use Adsense and Amazon to monetize my own websites. Thanks for sharing your experience and knowledge.